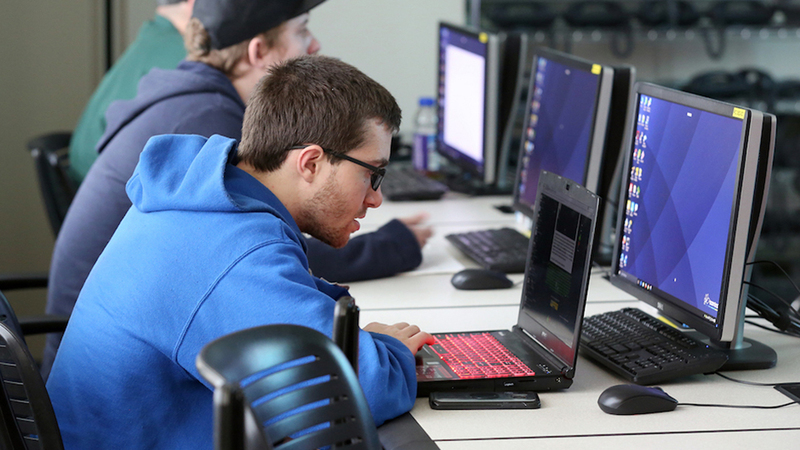 The Johnson County Community College Information Technology-Networking program aims to be a local and national leader in cyber defense education. The curriculum is mapped to the National Security Agency/Department of Homeland Security (NSA/DHS) Center of Academic Excellence (CAE) knowledge units in cyber defense. This validates the program's rigor and viability. Program guidance and oversight — It’s critical that our program continues to meet the highest national academic standards to prepare graduates for the local cybersecurity workforce. We also assist other institutions in developing their programs. General cyber defense information — We provide resources so people can understand what attacks are happening and what they can do to protect themselves. Collaboration and outreach opportunities among students, faculty and other institutions — We have a club, cyber competitions, guest lecturers and community events.